Grannypurl: At last...a cardigan for me! At last...a cardigan for me! 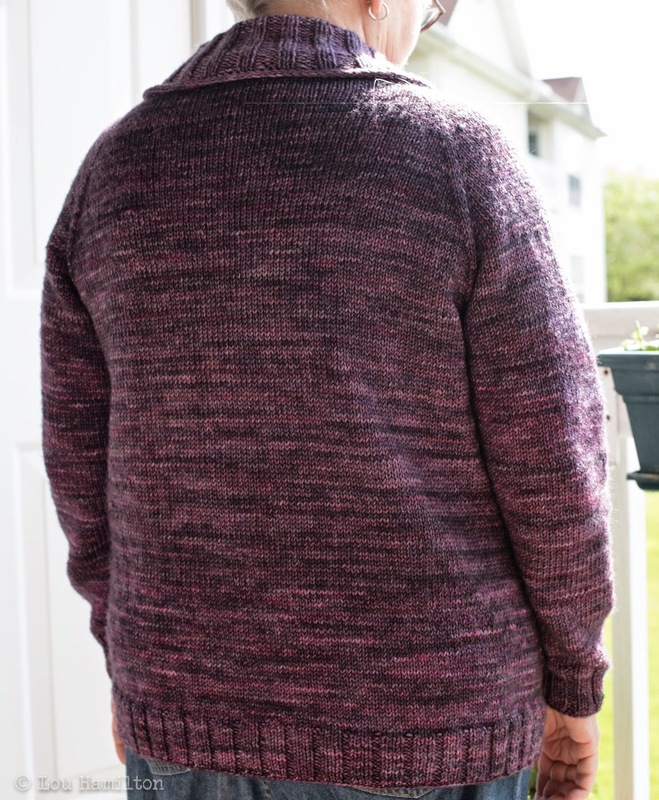 Finished this cardigan, a little while ago. 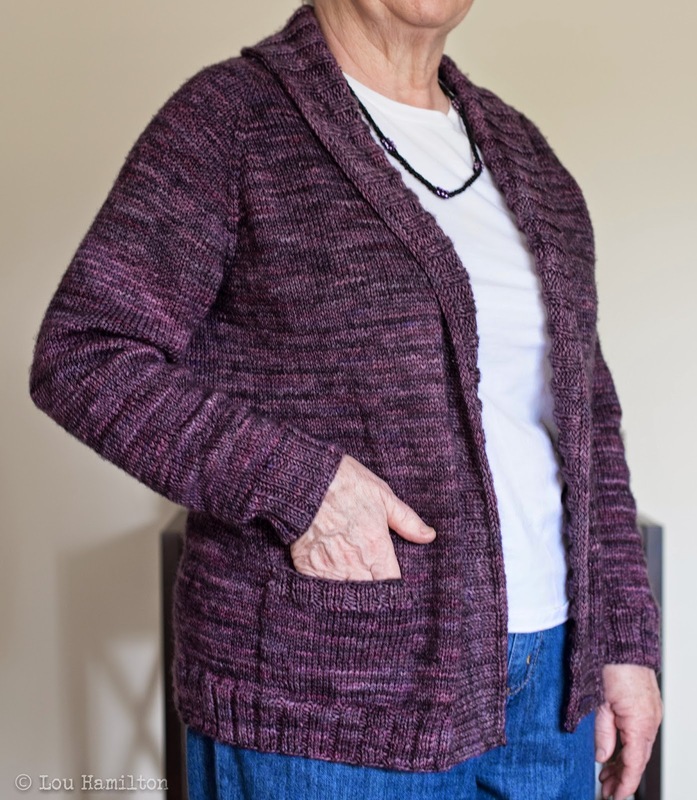 Pattern:-Love Potion by Nadia Crétin-Léchenne and can be found http://www.ravelry.com/patterns/library/love-potion on Ravelry and is completely seamless! I knit the size (L) 45 and I love the fit. I didn't bother with waist shaping. I did however add afterthought pockets by first knitting 15sts; then knitting 23sts on waste yarn, and knitting 13sts to the underarm. I then continued across the back and knit 13sts to the pocket added my waste yarn across 23sts and finished with 15sts to the edge. My pockets measure approximately 4" in height and about 5" wide! I gotta say I love a pocket for a tissue...my hands etc.!!!! I only added 3 buttonholes but if I had wanted to wear this cardigan buttoned I would have probably added 2 or 3 more! I especially love the deep shawl collar! Yarn:-String Theory, Merino DK colour Raven's Bride. I used approximately 5 skeins. This pattern suggests a coordinating colour for the I-cord edging around the collar and down the front button hole bands...but I just used the same colour for everything. This is very nice yarn and I enjoyed knitting with it. It is also great to wear. I love the lighter weight! Needles:-I used Sz # 6 straights and circular! If I were to knit this again I wouldn't really do anything different. I really do love the fit and altho' the yarn looks very purple in one pic..it is more subdued in real life!!! Praying Mantis..or more like an alien?